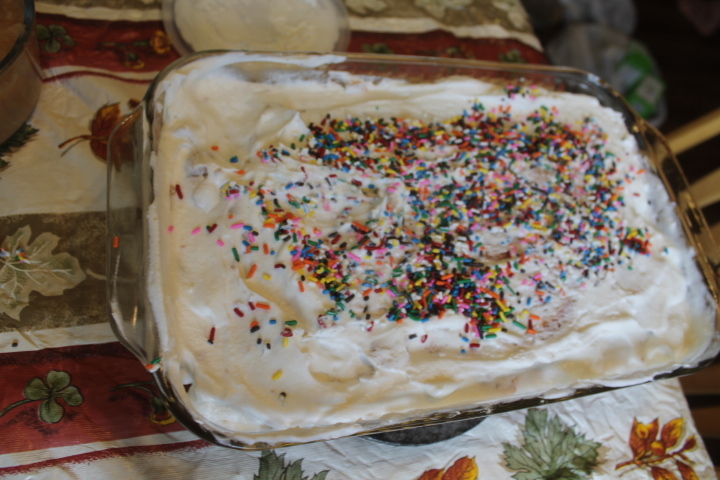 Years ago, I used to make gelatin poke cakes for different occasions. They were one of Hubby’s favorite desserts. Then I stopped making them for some reason. Hubby’s birthday was last week. I decided to make a gelatin poke cake for his birthday cake. Wee One helped me make the cake. He also got to choose the flavor of the cake (funetti or yellow) and the flavor of the gelatin. Imaginative One also helped me ice the cake. 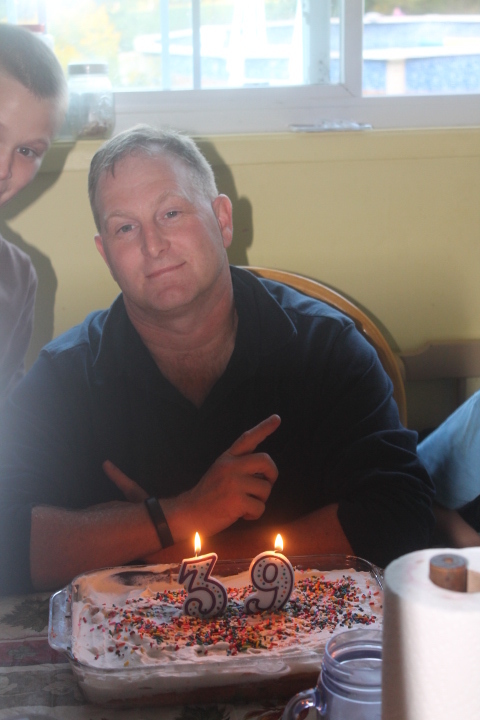 Hubby loved the cake. He told me the reason he loved it so much is because it a very moist cake. Hubby even took the remainder of the cake to work to share with his co-workers. 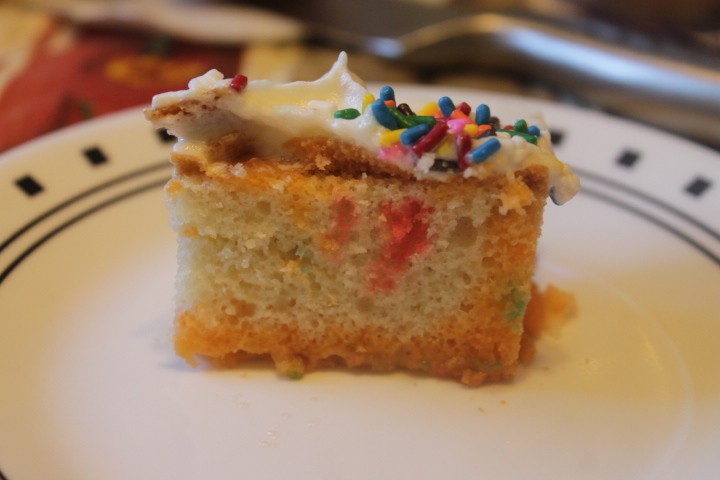 Pouring in the cake mix – We followed the cake directions on the box. 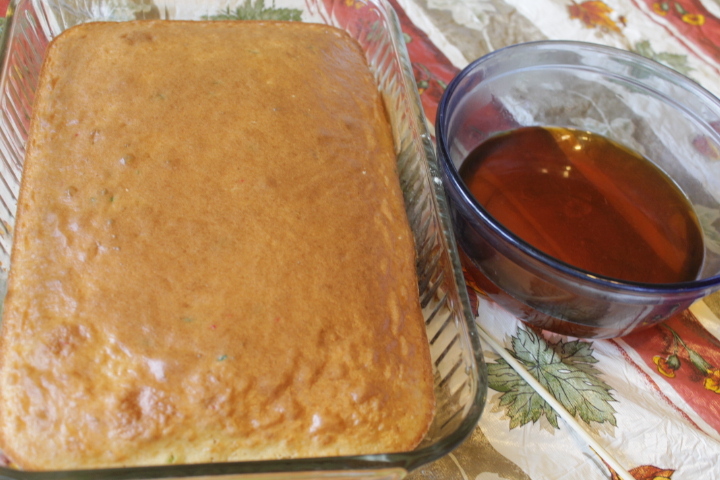 Cake and gelatin – Allow the cake to cool a little bit (15 minutes or so) before poking the cake. Poking the cake – We used a skewer. 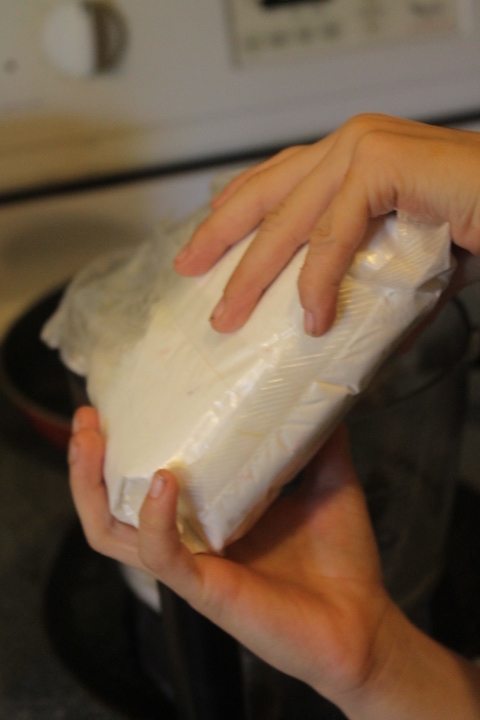 Pouring the gelatin – After poking the cake, pir the gelatin over the cake. Imaginative One frosting the cake – Allow the cake to cool for at least a half hour to an hour more before icing it with whipped topping (Cool whip). Preheat the oven according to the cake box directions. Prepare the cake mix according to the cake box directions. Spray down a 9 by 13 pan. 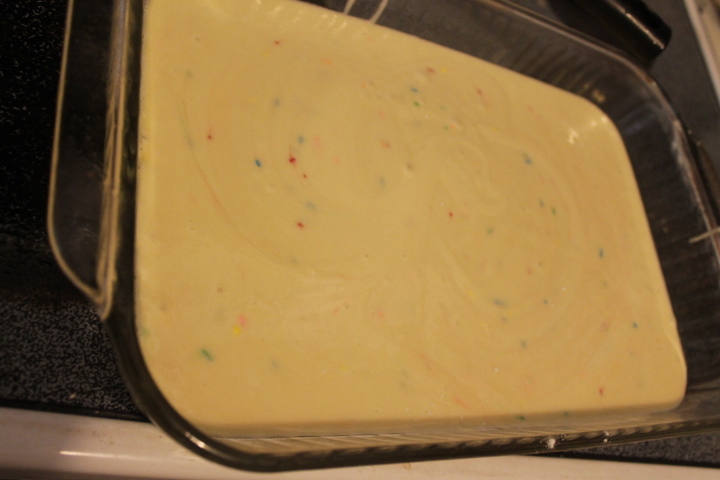 Pour the prepared cake mix into the 9 by 13 pan. Bake according to the cake box. Once the cake is baked, pull the cake out and allow to cool for about 15 minutes. 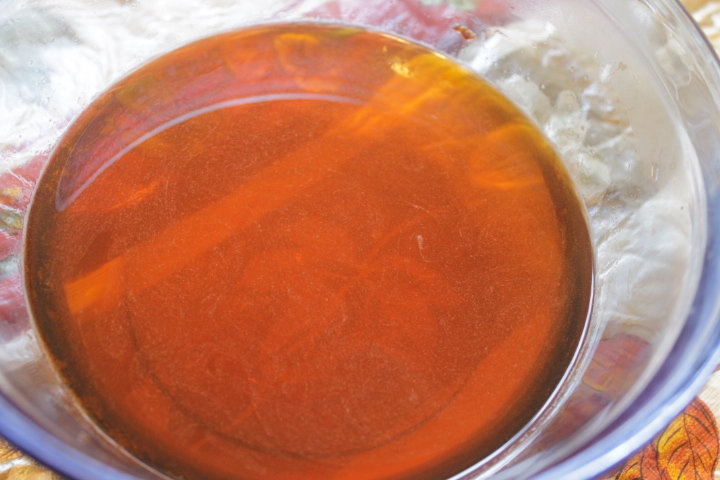 While the cake is cooling, make the gelatin. 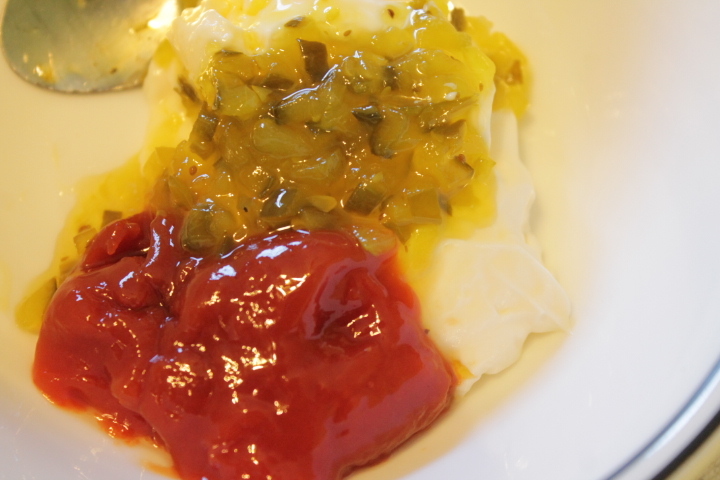 In a bowl, place the gelatin powder. Pour 1 c. of boiling water over the gelatin powder. Stir until dissolved. Add the 1/2 c. of cold water. Stir. 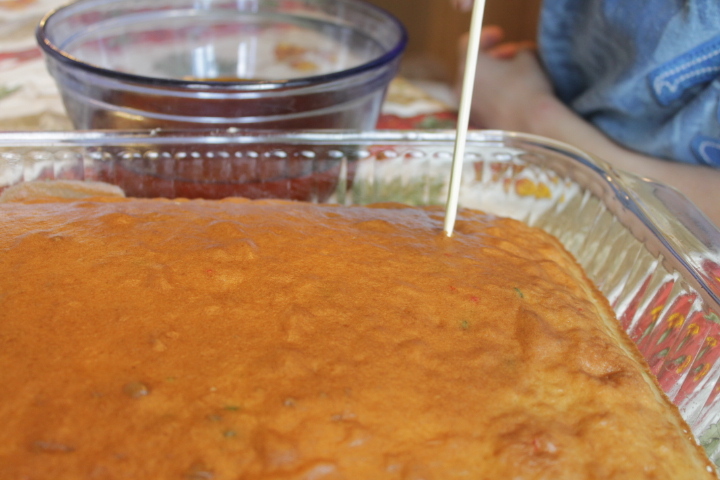 Poke holes in the cake using a skewer or straw. Pour the gelatin over the cake. Allow the cake to cool for about an hour. Spread whipped topping over the cake. Decorate with sprinkles. 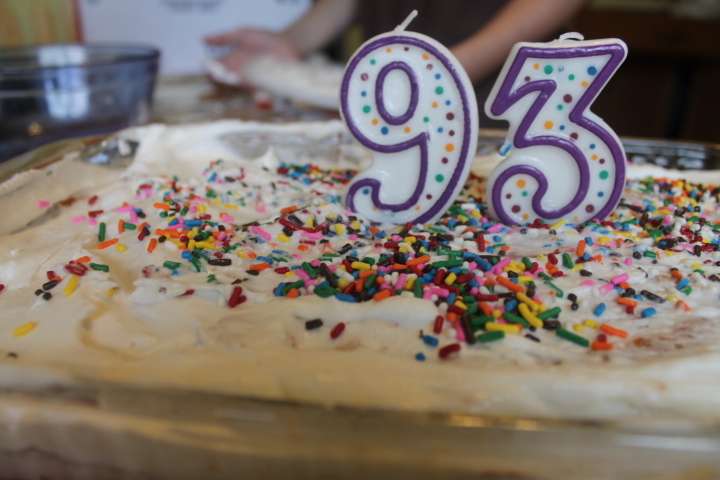 The boys thought it would be funny to say Hubby was 93. This week I am going to use the crock pot for our dinners. I have been busy with work and have been staying later then usual. The result is we haven’t been eating homemade meals. On Saturday morning, the Wee One and I went shopping. We got all the meat and other ingredients for the meals. After we got home from shopping, I put the hamburger in the crock pot. While we were having family time, the hamburger was cooking. 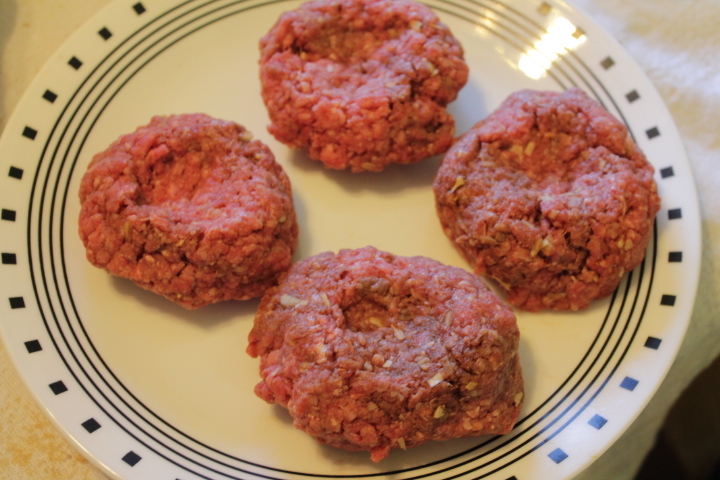 The cooked hamburger is going to be used for sloppy Joes and the soup. Then I put the stewing meat into smaller containers since I bought a family pack. This has been an odd week for me cooking wise. 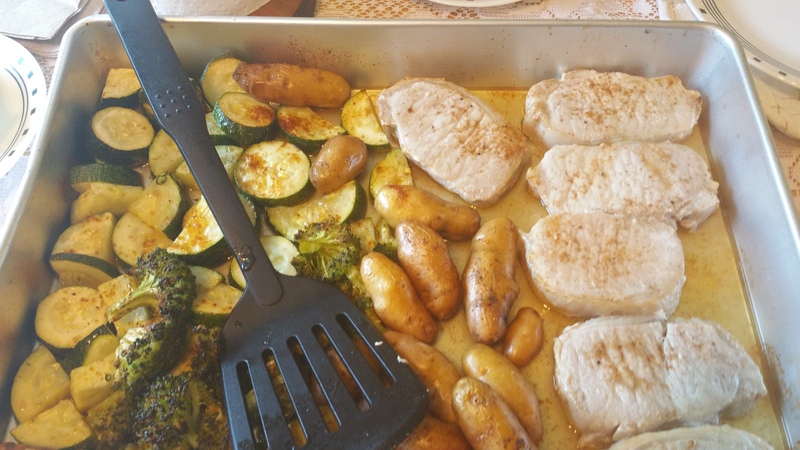 Sunday – I cooked a great dinner for Hubby’s birthday. Monday – I had a training after work so I grabbed food on the way home. I was STARVED. The rest of the family ate leftovers. Tuesday – We had a Boy Scout potluck dinner. Hubby was on his own while the rest of us ate at the potluck. I warmed up a tray of mac and cheese for the potluck. Wednesday – Hubby made ravioli for the family. I did bake cookies. I used the make ahead chocolate chip mix for the cookies. Thursday – Once again, I had to stay after work for a meeting. Since we had a busy night, I stopped and got myself some dinner on the way home. Friday – For a third time, I had to stay after work for another meeting. The Imaginative One had to be dropped off for a weekend camp so Hubby took care of feeding them. I ended up ordering Chinese for myself because I had some online training to complete last night. I do have two more recipes I want to post but haven’t had a chance to post them. On my other blog, I posted pictures of the boys playing with bubbles, blessings, and a summer recap of the Crohn’s Conservatory and Harriet Beecher Stowe’s House. 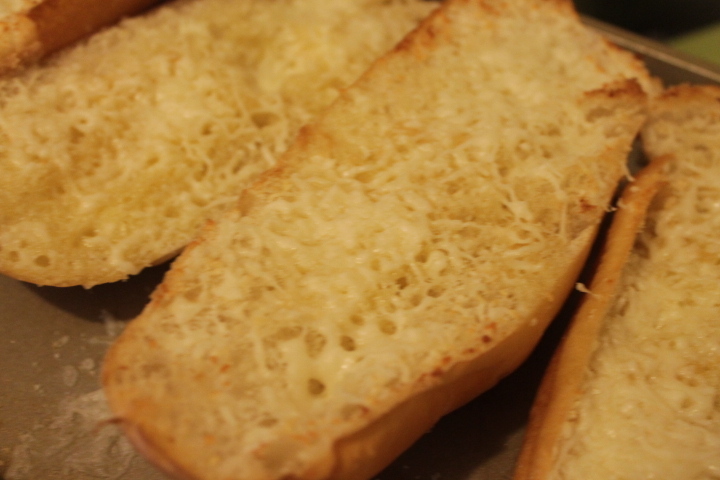 When we eat pasta dishes at our house, three of us enjoy eating garlic bread with our dinner. The Wee One refuses to eat garlic bread. That means extra garlic bread for the rest of us. 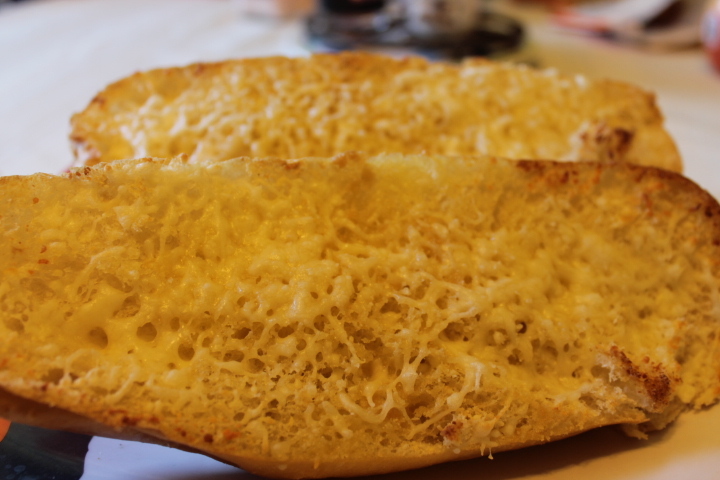 The other day I decided to make us garlic bread using hoagie buns from Sam’s Club. The result was pure deliciousness. Hubby really loved it. This recipe was easy to put together and get onto the table. Use leftover rolls, Italian bread, or French baguette to make the bread. If using left-over buns, open them up. If using bread, cut into smaller pieces. Place on a cookie sheet. Melt the butter in the microwave (mine took a minute). Spread butter on buns or bread. Sprinkle garlic over the butter. Sprinkle shredded cheese over the garlic. Place in oven and broil for 3 minutes or so. Watch the bread so it doesn’t burn. This blog has been around for five years (June 2010). However, I stopped writing on it in Feb. 2014. I tried to pick it up on the blogger platform and did until August 2014 but then just stopped. Now I’ve decided to restart the blog. I need ideas of what topics to write about. If you could please comment on this post or on my Facebook page. That’s the other things I wanted to talk about. I created a Facebook page for this blog back in 2010. I don’t do much with it because I only have 64 likes on the page. I really would like to have more likes on it. It’s named Ramblings of my Crazy Life after my second blog. Here is a link to it. Please go and visit it and post what you would like me to blog about either cooking wise or life wise. 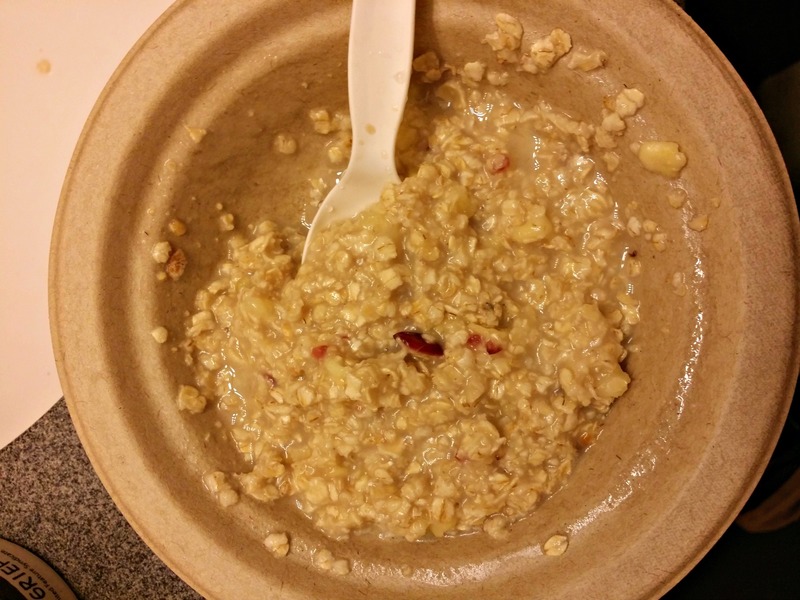 If it’s doing with cooking or feeding my family, I’m put it on this blog. If it’s about life, I’ll post it on the other blog. I also have a Pinterest account for this blog. Since I haven’t used this blog in a while, I haven’t put anything new on it lately. I’m not a big Pinterest user so I don’t go on there often. 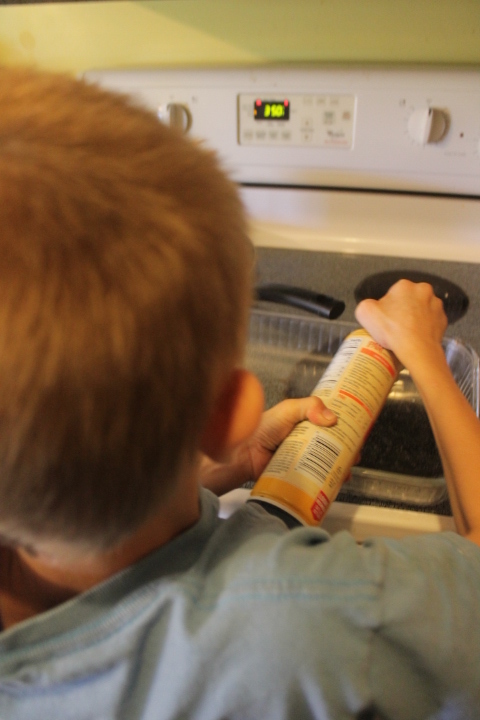 My ultimate goal for this blog is it to be like a recipe book for my boys when they are young men and start off life cooking for themselves. I cannot believe that when I started this blog, they were only 5 and almost 7 years old. They are now 10 and 12 years old. They still will ask me “What’s for dinner?” when I come home from work. 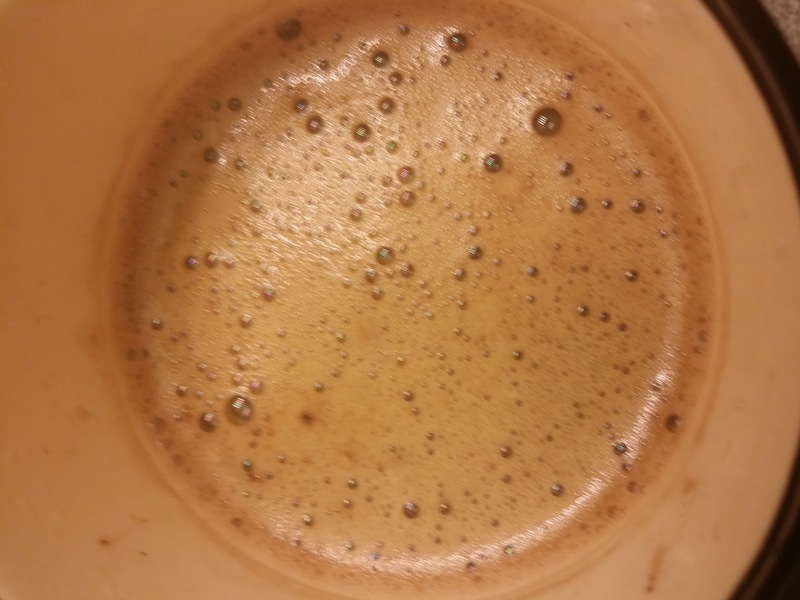 Copy Cat Wendy’s Frosty – Before I post this recipe, I need to make sure of the measurements. This was an accident that turned out great. Have a great week. Oh and the link to my Facebook page is on the sidebar. Please go over and check it out. Since Hubby needs to be out the door soon after I get home, quick meals are important. 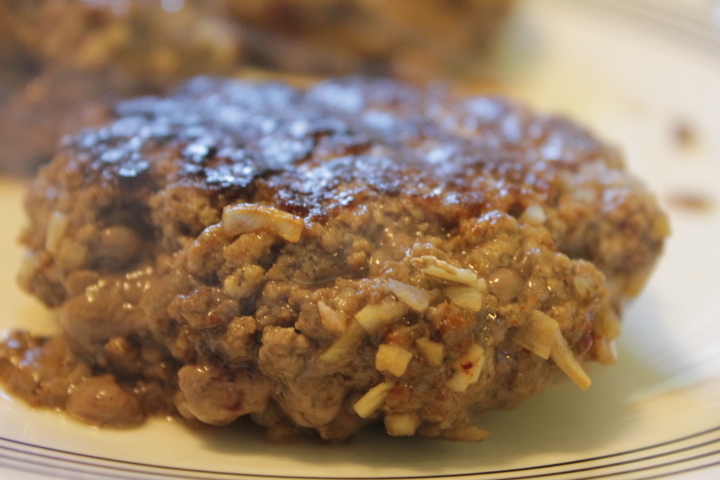 Hamburgers are one meal that can be put on the table quickly. 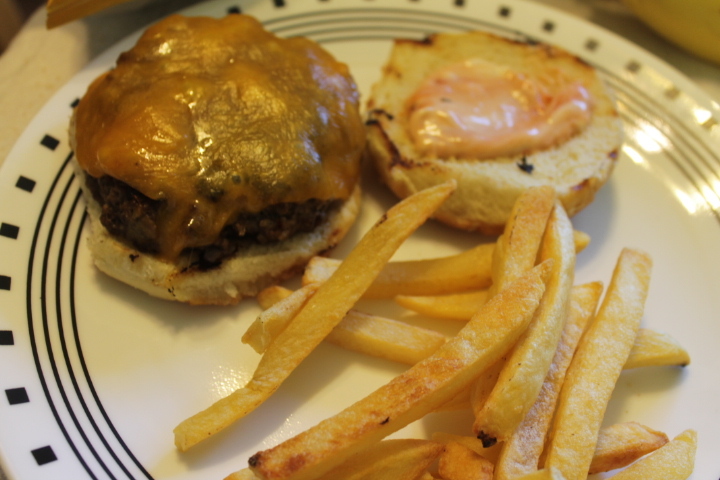 Cook up some fries with it or serve some potato chips to serve with the hamburgers. Add some raw veggies and you have a complete meal. 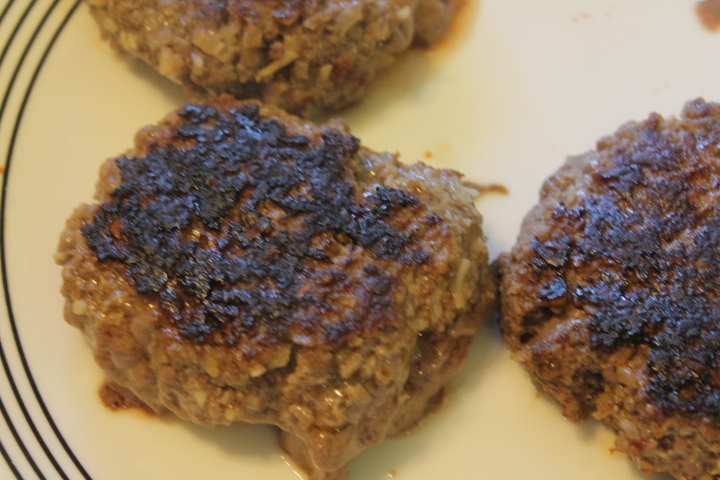 Hint about the hamburgers – Shape the patty and then put an indentation in the middle. This will allow the patty to retain it’s shape as it cooks. Heat up a skillet to med. high heat or preheat your indoor grill. 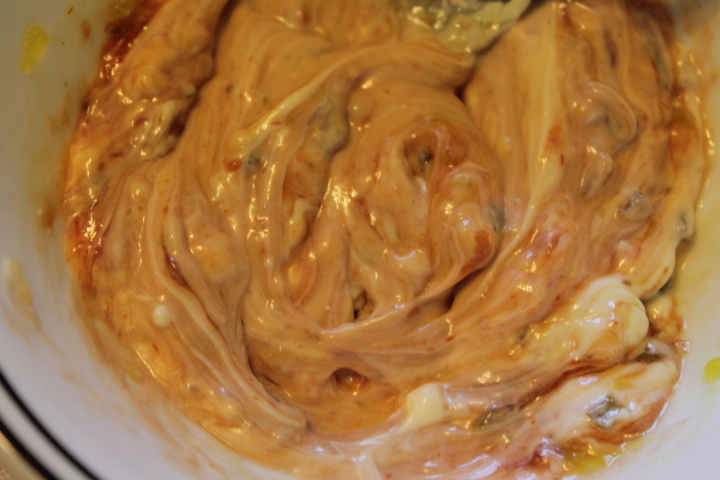 In a large mixing bowl, add the meat, Worcestershire sauce, onion, and seasoning. Mix together but don’t over mix. Cooked until cooked through. If on griddle, turn after about 3 to 5 minutes. Allow to cook for 3 to 5 more minutes. 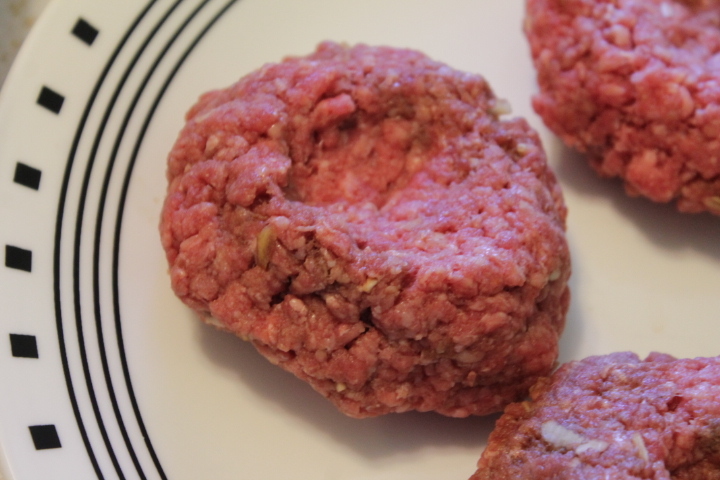 Hamburger is cooked thoroughly when its internal temperature is 160 degrees. Enjoy either on a bun or without a bun. Top with your favorite toppings. 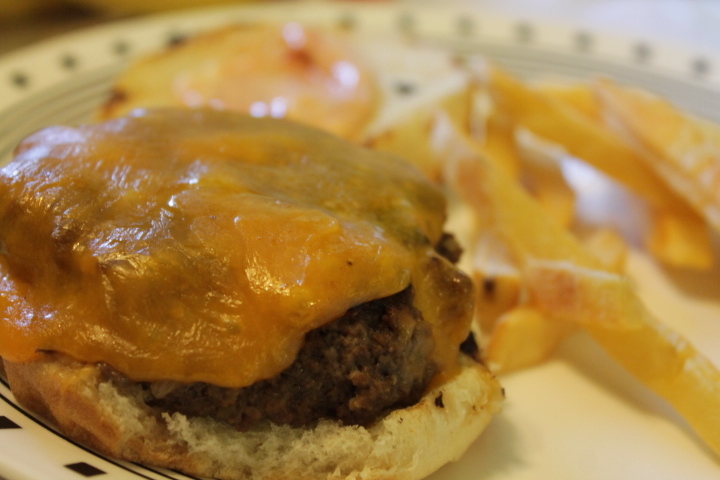 We had thousand island sandwich spread and cheddar cheese on our burgers. When I was in college back in the 1990’s, I worked at McDonald’s. I usually worked at the front counter, front drive-thru, or back drive through. Hubby knew I was someone special because I would take an order, take money, and be eating my dinner in the office next to the drive-thru all at the same time. He couldn’t believe I could multi-task like that. One of the great benefits of working at McDonald’s was the free food. As a poor college student, it was greatly appreciated. I loved Big Macs and chicken nuggets with hot mustard sauce and sweet and sour sauce. Yes, I know chicken nuggets from McDonald’s are not real chicken nuggets. The special sauce on the Big Mac’s was one of my favorite parts of the sandwich. I’ve made a homemade version of the special sauce. It’s absolutely delicious. Serve on your favorite hamburger or sandwich. This is an easy meal to impress your guests with. On Sundays, we usually eat dinner with my mother-in-law. It’s a tradition that started when Hubby and I were just married. My father-in-law usually made the dinner. When he died, we continued the tradition. Sometimes I make the dinner. Other times my mother-in-law makes the dinner. Then there are times we eat out for Sunday dinner. This is one dinner that I made for our Sunday dinner. It was easy to put together. It’s important to make sure the pork chops are thin cut so they bake in the same amount of time as the veggies. Serve bread on the side to make a whole meal. Brush Extra Virgin Olive Oil on a big baking sheet. Toss the veggies in a tablespoon of extra virgin olive oil and coat with salt and pepper. Place on the cookie sheet next to the potatoes. Place the pork chops in the remaining space on the sheet or on another baking sheet. Coat with your favorite seasoning. 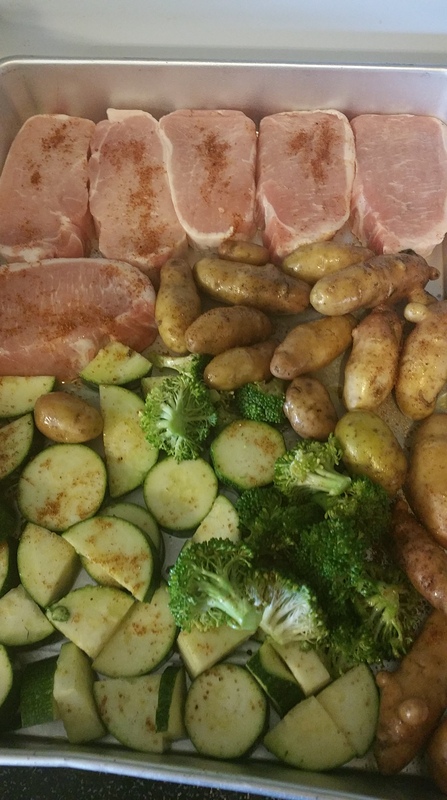 Bake at 425 for 25 to 30 minutes or until the pork chops are fully cooked (145 degrees Fahrenheit) and potatoes are tender. Enjoy with a salad and/or favorite bread.